The GRS are a fully independent and privately run gemological laboratory with offices in Switzerland,Hong Kong,Colombo ( Sri Lanka ) and of course Bangkok. The GRS specialize in both Gemology and Geology of Sapphires,Rubies,Emeralds as well as the top gem stones including Garnets,Tourmaline and Jade to mention a few. They offer full gem stone reports as well as country of origin reports using some of the worlds most advanced testing equipment coupled with some of Europe's most experienced Gemologist and Geologist. The GRS are aware on many of the new treatments sapphires and rubies can be subject to today charring new treatments with the worlds leading laboratories today. 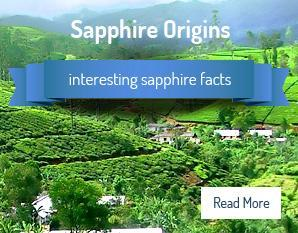 Sapphire Ring Company recognizes the GRS as being one of the worlds top laboratories and over the years have had gemology reports on several of our sapphires. Sapphire Ring Co choose this lovely custom 18 kt white gold ring setting for this sapphire to be set which was of course accompanied with this GRS full report.